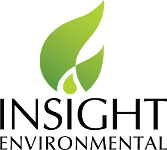 Insight Environmental is an environmental consulting firm specializing in Leak Detection and Repair (LDAR), Continuous Emissions Monitoring System (CEMS), Optical Gas Imaging (OGI), and Unmanned Aerial Vehicle (UAV) services. Our company was founded on education, experience, and expertise. It expanded because of our emphasis on customer satisfaction, safety, and job quality. Our offices work with clients across the U.S. from Alaska to the Midwest, the Gulf Coast to the East Coast. The jobs are all different, but the outcome is always the same: zero non-compliance and customized solutions that work. Insight’s trained technicians are renowned for their abilities to provide clients with customized LDAR and data management programs, CEMS services, regulation compliance assistance, optical gas imaging, and UAV services. Our team is composed of dedicated, accountable, and hardworking professionals committed to developing solutions and strong relationships with our clients. Custom programs that focus on safety, integrity, and superior results. Air emissions monitoring to meet federal, state and local environmental goals. Substantially increase worker safety and enhance product quality. Drone technology provides real-time data across a variety of industries. ISNet specializes in connecting businesses worldwide with suppliers and contractors deemed reliable and safe for industries to hire. 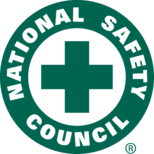 The National Safety Council provides companies with the tools and support to evaluate, pinpoint, and implement standards that keep employees safe and healthy. While Insight strives to be the best in the LDAR field, we recognize that our clients may benefit from the complimentary services of other firms. Therefore, Insight Environmental has built alliances with other companies, like Save Our Steam (SOS), in order to ensure that Insight clients continue to profit from working with us. Insight Environmental can find and repair most leaks, but under certain conditions, additional experts are needed. SOS specializes in working under full-flow conditions to seal and stop leaks while maintaining the same exceptional safety standards you’ve come to expect from Insight. Insight only teams up with companies it believes will do the best job, so that our clients may continue to obtain the high standard of work they deserve from us and our partner companies. Insight is proud to have established a close and professional relationship with SOS. At the heart of everything we do is one core value: customer service. Our expert technicians, extensive training, and advanced technology all revolve around our clients’ needs. Insight Environmental is equipped with the expertise and experience to get the job done while providing the professional and reliable service that our customers appreciate. Give us a call. We’re ready to design and deliver the solution that’s right for you. In addition to these training topics, Insight employees attend safety meetings each morning and conduct daily safety checks on all personal protective equipment. Insight continues to stress safety by requiring technicians to take refresher safety courses for general safety and on-site locations. By taking a proactive and hands-on approach to safety, Insight can continue to strive for a safe working environment and reputation for technicians and clients. Insight technicians maintain their valuable safety skills with our quarterly online safety and LDAR training. These skills and their daily applicability help keep our employees safe and knowledgeable of their environments, while allowing them to focus on the job at hand. Insight’s safety focal point has been proven time and again by a zero lost time record since the company first started in 2004. In addition to this record, Insight is ISNet certified as a safe and reliable contractor to employ. Insight is also a member of the National Safety Council, further supporting its employees to safely manage their daily work. Our standard of safety is simply unmatched.